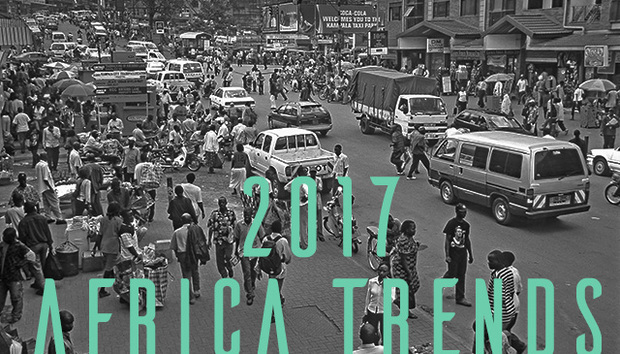 The tech world in Africa is looking bright with some of the yester-year forecasts finally becoming a reality. We are now witnessing a great shift in mobile money payment for virtually anything. More people are getting online opening up opportunities for indigenous products and content. Governments, especially South Africa, Rwanda and Kenya, are enhancing Wi-Fi coverage to their citizens as more citizen services move online. These and more developments are setting up the continent to be on par with the rest of the world. Here are predictions of what to expect in 2017. Africa is slowly moving away from a feature phone continent. The smartphone train is now gaining momentum, especially for the young. In Africa, Chinese brands Infinix, Huawei and Tecno are gaining traction offering low cost smartphones from US$50 to US$100. These brands have been largely accepted and more people are moving away from high end brands such as HTC and Samsung. In May this year, Jumia, Africa’s largest ecommerce site, said it had seen a 45% increase of smartphones being bought. Its platform has introduced other brands including Injoo and Wiko which are being accepted in the local market. The demand for cheap smartphones is boosting penetration rates and is affecting the data bundle business for the majority of telecom companies. Safaricom, Kenya’s largest telecom company has seen its profit shoot up through mobile internet services. According to research firm Ovum, the smartphone penetration rate will grow at 52.9% year- on-year. Currently there are 293.8 million smartphone users across the continent. Ovum predicts that there will be 929.9 million smartphones by the year 2021. Opera Software, the makers of Opera browser, said that 2016 is the first year that smartphone imports in Africa outweighed feature phones, signalling the shift. Opera suggests that the increase in smartphone penetration will lead to a demand for video streaming and content rich websites and applications. This trend will definitely gain traction in the next year with more smartphone brands set to launch. Across Africa, several states are looking to legislate and make government data public. This move is seen in Kenya, South Africa and Rwanda. In Kenya, the president agreed to the Access to Information bill this year which makes it easier for citizens to inquire on private and public data. This also opens up opportunities for data analysts and businesses to make sense of the governments’ impact in different sectors. The bill legally binds government and private institutions to share their public data upon inquiry within yet to be set, stipulated rules. Dr Abdalla Hamdok, Chair of the Mo Ibrahim Foundation Advisory Council and Acting Executive Secretary of the United Nations Economic Commission for Africa (UNECA), said that open data can help African governments in planning and development. “Africa has long suffered from a lack of high-quality, transparent and reliable statistics. This type of data is essential to support policy formulation and decision-making, as well as to monitor progress and evaluate the outcomes of development programmes,” he said in an opinion piece. In the same move, in November 2016, the Mo Ibrahim Foundation launched the new IIAG Data Portal that opens up 15 years of data on governance in Africa. “Designed [in] digital format, the Data Portal provides access to the most comprehensive collection of data on African governance to policymakers, businesses, academics and civil society,” a statement from Mo Ibrahim Foundation said. We expect to see more governments in Africa making this move in a bid to make their processes transparent and make data work for them. In 2016, Africa became a bit uptight in terms of online freedom. This might not change in the coming years and we might witness more online censorship moves by various African governments. Ethiopia specifically has become a notable example. In July this year, the country blocked social media sites during the national exam week. The government said that it was to help students concentrate on exams. It’s more recent block was during ongoing protests by the Oromo community over land issues in the country. The country’s telecom monopoly is not about to change any time soon and even though the country is under a progressive development plan, the issue of online freedom will likely deteriorate. Kenya has also been in the news by for trying to introduce freedom infringing laws. The Film, Stage Plays and Publication Act 2016 and The Information Communication Technology Practitioners Bill have been termed as retrogressive by industry experts. Earlier this year during the Ugandan elections, the government gave a blackout to social media outlets saying the move was precautionary, for security reasons. Other countries that have followed suit are Congo-Brazzaville and Chad. Increasing internet and mobile penetration across the continent will only mean that more people have a channel to speak out on issues that might not tally with government views.